Papaya, a soft and deliciously sweet fruit teeming with health benefits, is not only good for your hair and skin but for the digestive system as well. The fruit is packed with minerals like calcium and potassium, and is a rich source of fiber, flavonoids and carotenoids. 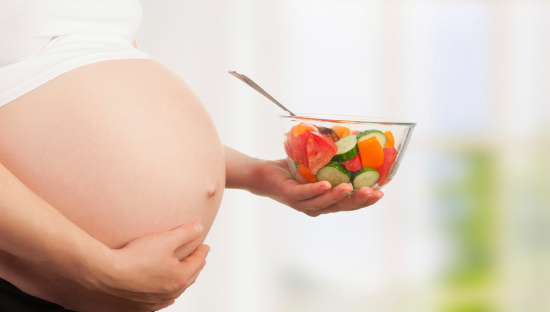 However, papaya during pregnancy may not prove to be a wise choice. Why? Let’s throw some light on this. If you’re pregnant or planning to conceive, then you should definitely keep papayas at bay, especially the unripe ones. While fully ripe papayas may not cause trouble, it is better not to take risk as safety of papayas during pregnancy is still not confirmed. Why unripe papayas are a complete no-no at this particular time and why doctors ask pregnant women to avoid it, let us explore. 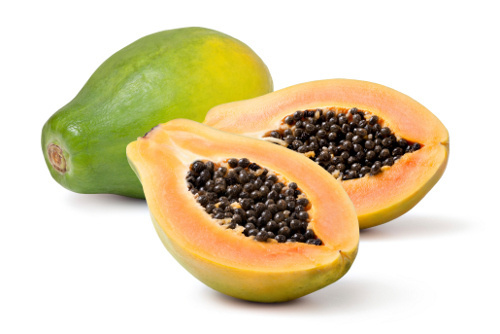 Papain and pepsin are two enzymes contained in papayas. They make fetal survival chances low, and hinder normal growth and development of the baby. Research has showed that papaya or parts of the papaya plant, if consumed by pregnant women, may cause embryo toxicity and increased risk of post-implantation loss. Papain in unripe or even semi-ripe papayas can cause activation of prostaglandin and oxytocin, triggering uterine contractions which could eventually lead to preterm labor, natural abortion or miscarriage. Furthermore, it can also cause fetal abnormalities. Papaya is an emmenagogue and can be used as a natural method to abortion,so its consumption in early pregnancy should be avoided especially at the time of placental formation to prevent any kind of harm. Excessive pressure exertion on blood vessels may cause hemorrhage, affecting the embryo and creating complications during pregnancy and delivery. Blood pooling may occur iffluid-retention-caused edema exerts pressure on the blood vessels. Papain in papaya can exert pressure by causingbleeding in the placenta and slowing down circulation, leading to blood pooling. Papain, being a proteolytic enzyme, causes cell dissociation, slowing down cell growth and hindering tissue development. This along with its membrane weakening effect reduces the chances of fetal survival. Papain content in unripe papayas is high enough to weaken membranes. The excessive bowel-movement-causing property of papaya may be helpful in relieving constipation and inflammatory bowel problems, but this effective tonic for digestive system could prove to be very harmful in pregnant women.Being a good source of fiber, papaya during pregnancy can exert significant pressure on your stomach and intestine, leading to miscarriages. The toxic chemical carpine present in papaya has a damaging effect on the central nervous system. A breathing difficulty in mother would naturally have an effect on the fetus, which can be aggravated by the fact that antibiotics are usually avoided by pregnant mothers. A reduction in the amount of oxygen supply to the fetus will directly influence its growth and development. Papain in papaya can act as an allergen, causing problems like hay fever, asthma, nasal congestion and difficulty breathing. Being a good source of vitamin C, papaya does boost immunity, but on the other hand also places you at the risk of kidney problems as vitamin C metabolism produces oxalate, the buildup of which leads to kidney stones. The intense pain of kidney stones and stomach cramps can pressurize abdomen, which can be harmful during pregnancy. This is another reason why papaya during pregnancy may not be a good idea. Papaya stimulates the production of hormone estrogen and is helpful in regulating menstrual cycles, which is not what you want during pregnancy as having vaginal bleeding when pregnant may indicate an ectopic pregnancy. Pineapple: a fruit that should be avoided in pregnancy, especially during the first trimester. It contains bromelain, which is believed to cause softening of the cervix, leading to premature labor. Grapes: it is advised to avoid grapes, raisins (dried grapes) and sour grapes especially during last trimester of pregnancy due to presence of high amounts of a substance called resveratrol. Grape consumption can cause diarrhea leading to loss of fluids, acidity leading to nausea and vomiting, toxicity in hormonally imbalanced women and several other complications. Peach: this iron rich fruit is also a good source of zinc, protein, sugar and pectin. However, pregnant women are advised to avoid consuming it due to its tendency to cause bleeding and contribution to a raspy throat. Longan: the sweet fruit is avoided during pregnancy, as it may increase the risk of miscarriage, fetal abnormalities, bleeding and women have been reported to have stomach ache after its consumption.